The first time I met Morgan and Kevin to chat about their wedding photography, I knew I'd met my couple 'spirit animal.' These two love photography and I may have geeked out a little just talking about the types of photos that we like! So I already knew their engagement session at Tredegar Ironworks and Brown's Island was going to be a blast, and I was not disappointed! These two really wanted to get some great engagement photos that they'd love, and they completely put their trust in me and my location choices, knowing that the light was going to dictate where we could shoot. We had a great time exploring Richmond's downtown and taking advantage of the beautiful backdrop RVA makes! 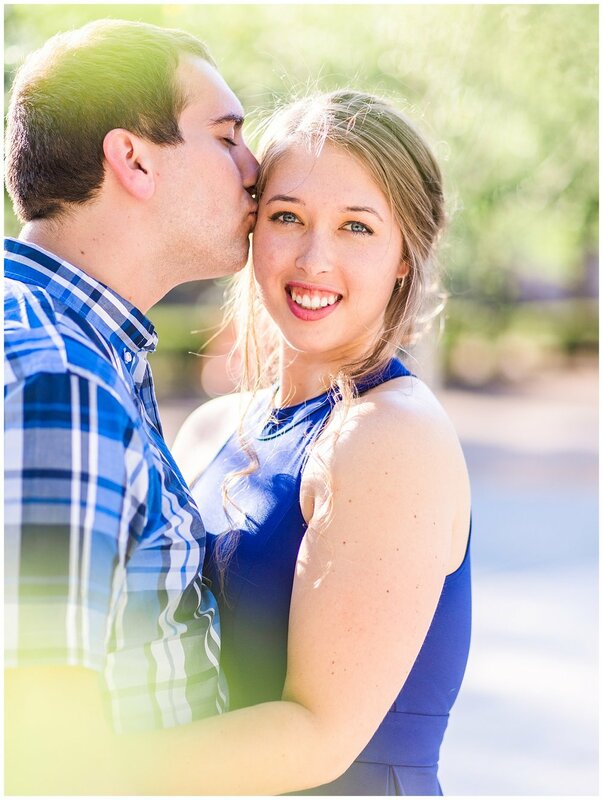 I can't wait to photograph their spring 2019 wedding at Celebrations at the Reservoir's Manor House! Here are a few of my favorite images from their Richmond, Virginia engagement session!